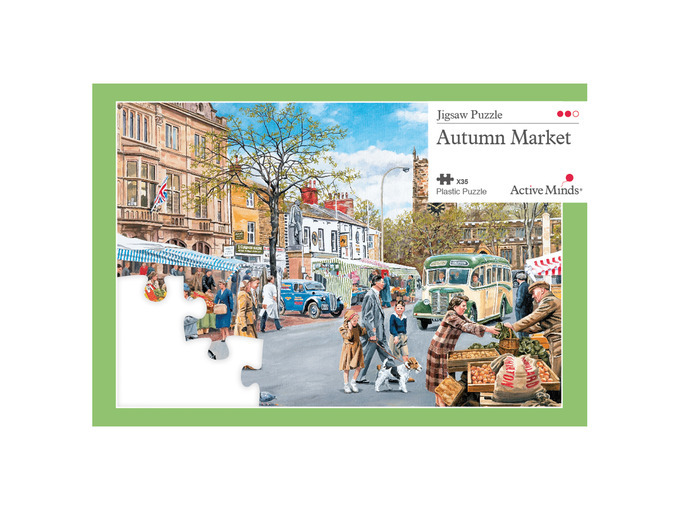 Painter Trevor Mitchell takes you back to 1950 with the Autumn Market puzzle. 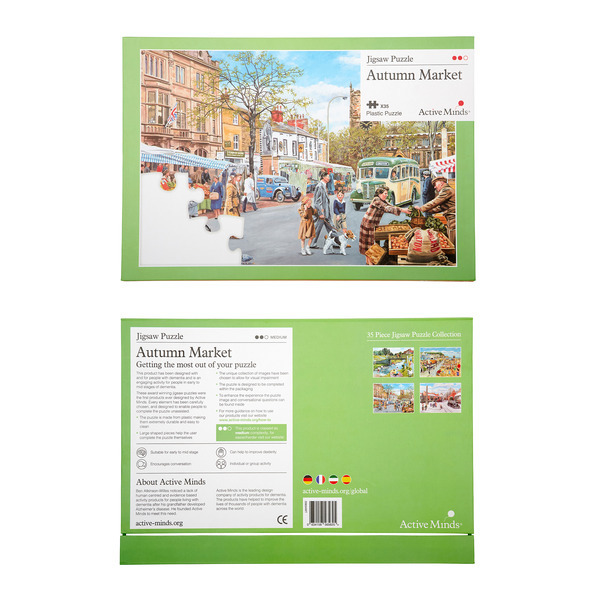 Showing fond memories of the North Yorkshire town of Skipton, Trevor has captured a beautiful moment on Market day. 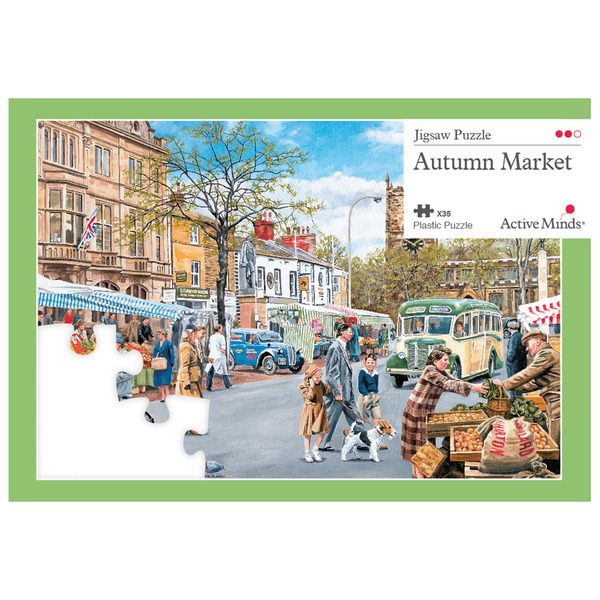 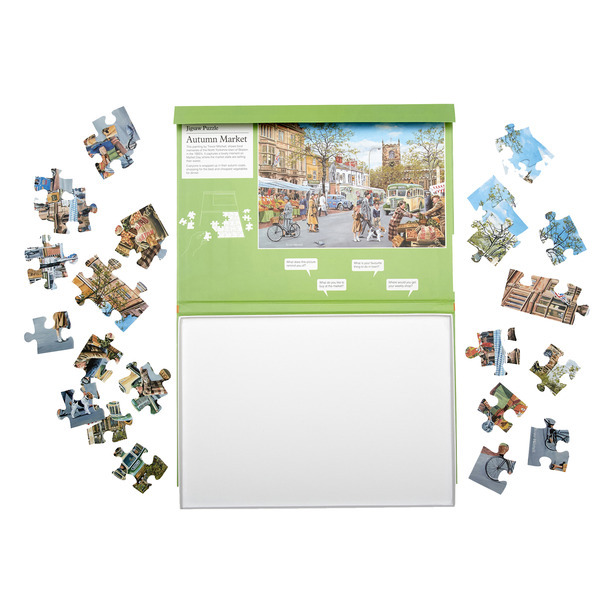 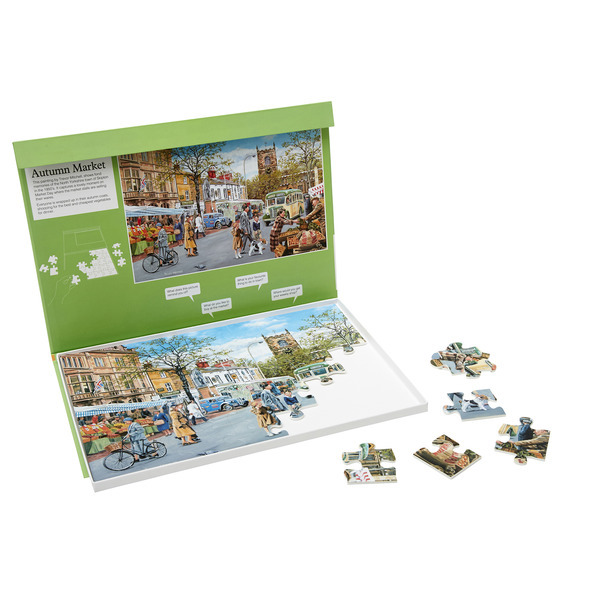 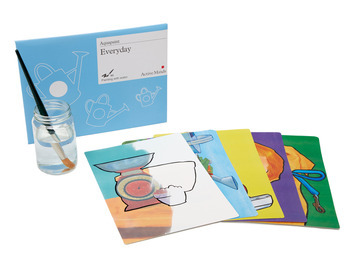 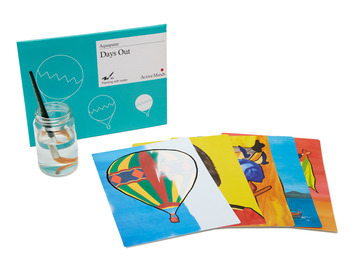 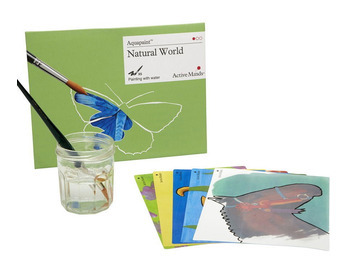 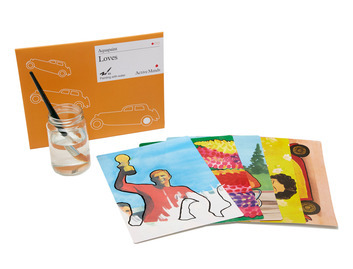 All of our puzzles have been designed and tested to help users in the early to mid-point of their dementia journey complete a puzzle unassisted and the Autumn Market puzzle is no exception. 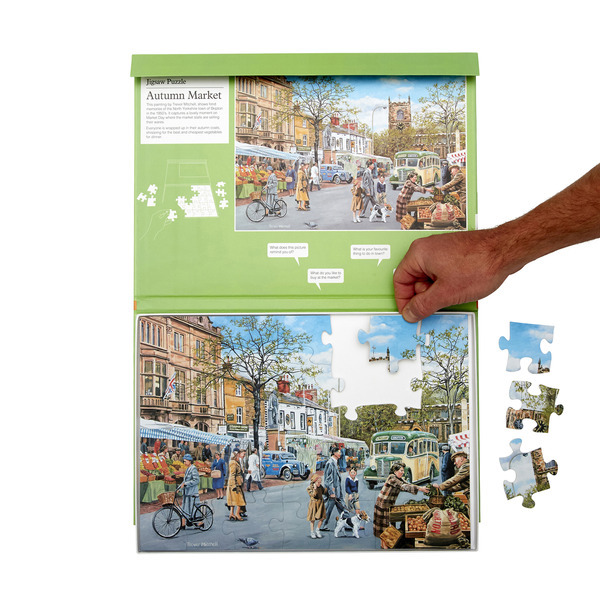 This puzzle is for people who found our 24 piece puzzles too easy and looking for more of a challenge.